One of my favourite things is playing board games, right from when I was young and my parents introduced me to games such as Build A Ladybird, Snakes and Ladders, and Guess Who. Some of the family favourites me and my sister we even played some games when we were long past the age they were aimed at. With my sister having flown the next, and Mum and Dad spending nights in front of the television, none of them are quite as willing as me to play, especially when it involves anything that is too long or complicated. Luckily Paul Lamond Games is pretty good at satisfying the tolerance levels, which is why I was happy to get the chance to try out Kerfuffle, part of their family games range. 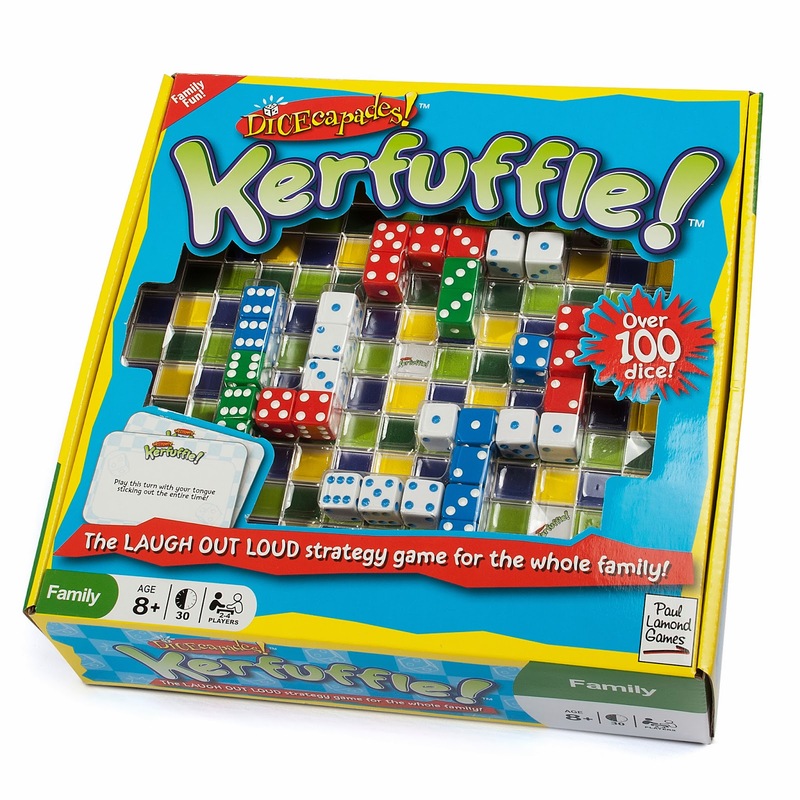 Kerfuffle is a dice based game suitable for 2-4 players. If you play with 2 players you use all the dice (half each), and with 3 or more players, you have one set of dice each. There's no set-up involved, you just take the game board out of the box, divide up the dice, and you are ready to go. There are two options available, either play just with the dice and the game rules, or you can add the cards into the game - picking one each turn and following the rules on each as you make your move. When Mum and Dad found out that some of these cards tell you to tap dance, or sing the ABC game, that option was swiftly discarded!! You'll need a bit of patience when you play, as first time round we had to go through the dice placement rules several times, check our moves, and we did help each other out with this, as we got used to how to play. But I think once you get the hang of what makes a series of numbers and what makes a pair etc. it will become easier. It took us 20 minutes to play our first game, and none of us lost interest, so all positive signs. It was a little like Scrabble in that you have to start on certain game squares, and think about what your placing where, but other than that it's quite different to play, and there's more to it than other dice based games, which to be honest I've got bored with fairly quickly. Kerfuffle is aimed at ages 8+ and I think that sounds about right. 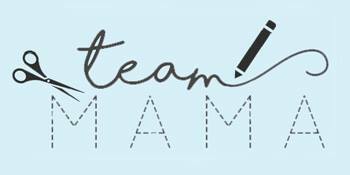 I think you could introduce learning elements with younger children, and when you've all grasped the rules, a nice bit of family competition. We played as a three - I think the potential to play with a fourth person, and with the cards, will make the game longer and/or each move more difficult. Different gaming options make Kerfuffle stand out in the market, and all the items that came in my box are durable and hard wearing, so I think we'll be enjoying this game for many years to come. I do have a couple of criticisms on the packaging and instructions. Although the box is sturdy and colourful, and would jump out of the shelves, it does have a die cut on the front, and all that lays between this and the game pieces etc. is a loose plastic frame. To me a sealed front would be a lot more practical. I'd also look at possible improvements in the instructions, as the example pictures could be clearer, and although it was pretty easy to play, relating each set of instructions to each other, well it was a bit of a mouthful for a newbie player. Apart from that it's a positive thumbs up to this game, and I look forward to trying out the other gaming options. 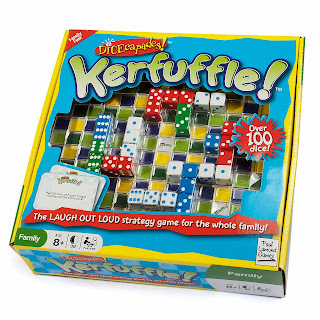 Kerfuffle has an RRP of £19.95 and is available from Amazon, and many independent and high street toy and gift retailers this Christmas and beyond. Have you played the game before? 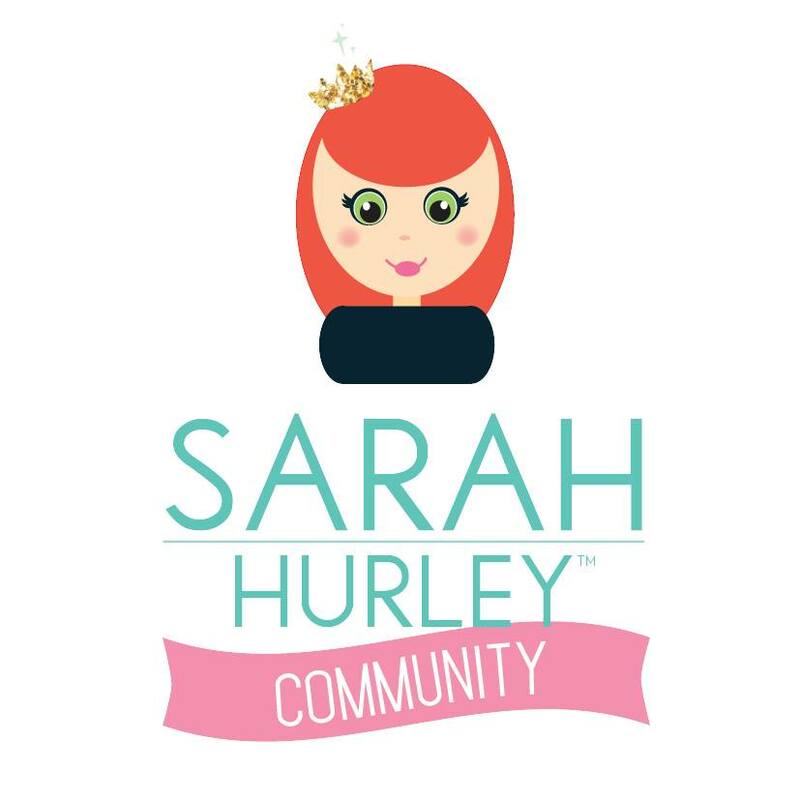 tempted to give it a go? let me know below! *This product was sent for review purposes but all opinions are my own.